Tun Dr Mahathir Mohamad’s (pic) spokesman has denied that there are any health concerns with the former prime minister, who had left early from an event on Saturday. Dr Mahathir did arrive at the summit in the morning but left a couple of hours later, without giving his speech, which was scheduled for the beginning of the event. However, the former premier’s spokesman said there was nothing to be concerned about. “There is absolutely nothing wrong with him. He is perfectly fine. “He just attended the summit as a guest and left early,” he said. 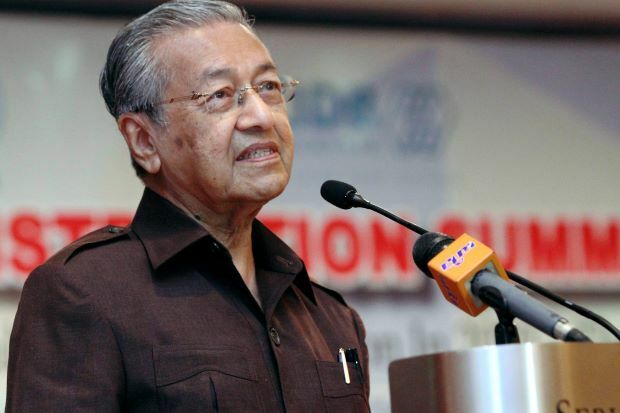 Dr Mahathir was scheduled to speak at the Trans-Pacific Partnership Agreement (TPPA) Summit 2016 held at the Ideal Convention Centre (IDCC), Shah Alam. Concerns were raised after an online portal reported that the former prime minster had left early due to health reasons.